Bill Phelan - For the Industry. By the Industry. As President, Mr. Phelan has grown PayNet into a firm with the largest collection of payment histories for commercial loans and leases. Under his strategic direction, Mr. Phelan oversees the sales, marketing, analytics and information technology functions of the business. Prior to co-founding PayNet, Mr. Phelan managed an investment portfolio of fixed income securities for Trustmark Insurance Company in Lake Forest, IL. In this fiduciary role at Trustmark, Mr. Phelan managed asset and mortgage backed securities and corporate bonds to achieve policy holder goals of total return and safety of principal. From 1993 to 1995 Mr. Phelan worked at Dain Rauscher Securities helping pension funds, banks and asset managers meet their clients’ investment needs. As a consultant at Ernst & Young from 1988 to 1993, Mr. Phelan advised privately-held companies on acquisitions and valuations to help them expand their business and conduct estate planning. Prior to that time, Mr. Phelan worked for International Business Machines Corp. and started his career in 1982 as an operations director in the retail industry. In 1992, Mr. Phelan became a Chartered Financial Analyst from the CFA Institute. 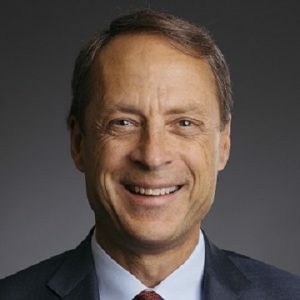 He completed a Masters in Business Administration in 1987 from Loyola University Graduate School of Business where he was a member of the Dean’s List and received the MBA designation with a concentration in Finance. He has a Bachelor of Arts degree from Carleton College in Northfield, MN. Mr. Phelan is quoted by national media outlets on a regular basis including Reuters, Bloomberg Business News, CNBC, FOX Business News, Business News Network (Canada) and The Wall Street Journal. Mr. Phelan regularly speaks throughout the nation on the latest trends on the small business economy such as Testimony to the House Committee on Small Business, United States House of Representatives, February, 2011; Equipment Leasing and Finance Association Annual Conferences; Synovus Business Banking C&I Forum; Consortium on Bank Regulation. National articles Mr. Phelan authored include: ”Success to Come in C&I Lending in 2015,: RMA Journal November, 2014; “Business Loan Delinquency Rates Continue to Edge Up,” October 2006; “Banks’ Small-Business Lending Practices at Odds with Growth Aspirations,” July 2006; “Leasing and the Economy… Benchmarks Show Varied, but Improving, Credit Trends,” May 2004; “Technology & Credit: Pooling Lease Payment History,” November 2000.